Last day I found an interesting post on one of the FB groups I am member of. It explains the health benefit of some of the fruit juices. 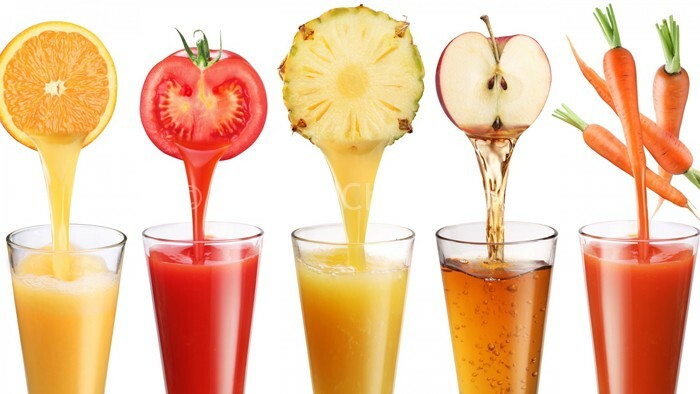 Let me share the list of those healthy juices here for your knowledge. All credits goes to the original author. Carrot juice along with Ginger and apple – will boost and cleanse our system. Apple juice together with Cucumber and Celery Juice – will prevent cancer, reduce cholesterol, and eliminate stomach upset and headache. Tomato juice with Carrot and apple is good to Improve your skin complexion and eliminate bad breath. Bitter gourd juice with Apple and Milk will prevent bad breath and reduce internal body heat. Orange juice together with Ginger and Cucumber Juice can improve your Skin texture and moisture and reduce body heat. Pineapple with Apple and Watermelon Juice helps to dispel excess salts, nourishes the bladder and kidney. Apple with Cucumber and Kiwi Juice can your improve skin complexion. Pear & Banana Juice – regulates sugar content. Carrot, Apple, Pear, Mango Juice will clear body heat, counteracts toxicity, decreased blood pressure and fight oxidization . Honeydew with Grape, Watermelon and Milk Juice is Rich in vitamin C & Vitamin B2 that can increase cell activity and strengthen body immunity. Papaya together with Pineapple and Milk Juice is also rich in vitamin C, E, Iron. Improve skin complexion and metabolism. Banana with Pineapple and Milk Juice is Rich in vitamin and is nutritious. It will prevent constipation. This entry was written on June 1st, 2013 by Jameela Beevi. Posted in Food collections and was last revised on September 10th, 2013.